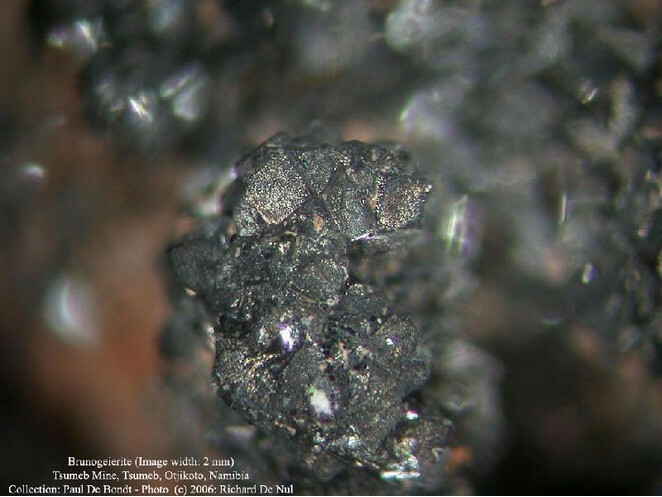 Brunogeierite: Mineral information, data and localities. Some solid solution towards magnetite: Fe2+Ge4+ = 2Fe3+. Named after Dr. Bruno H. Geier (1902-1987), former Chief Mineralogist, Tsumeb Corporation. 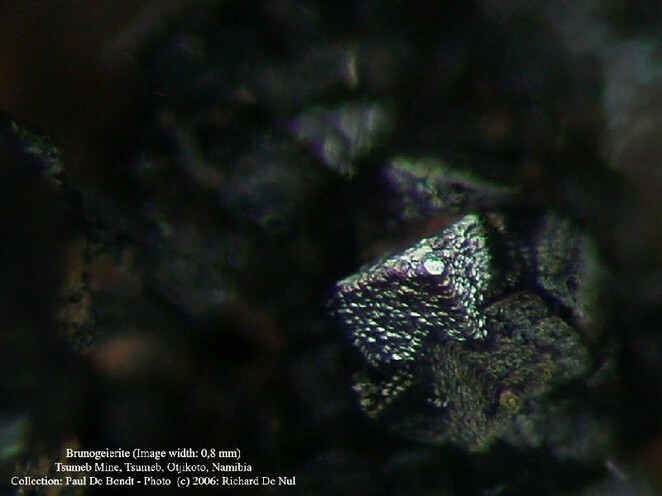 Nesogermanate member of the ringwoodite group (Cempírek & Groat 2013). Graph shows reflectance levels at different wavelengths (in nm). Top of box is 100%. Peak reflectance is 15.5%. Crystals rare. Usually as crusts or rims on tennantite (Tsumeb) or inclusions in sphalerite or magnetite (France). 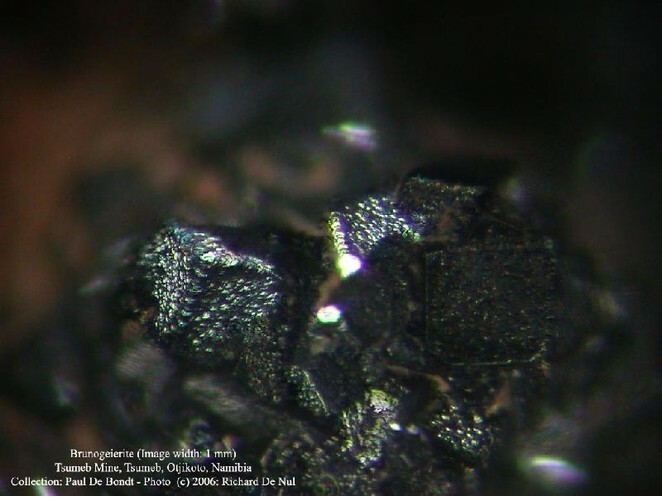 Lower oxidation zone of dolostone-hosted hydrothermal polymetallic ore deposit at 930 m depth, formed by alteration of Ge-rich sulfides. Schneiderhöhnite 1 photo of Brunogeierite associated with Schneiderhöhnite on mindat.org. Argutite 1 photo of Brunogeierite associated with Argutite on mindat.org. Sphalerite 1 photo of Brunogeierite associated with Sphalerite on mindat.org. Neues Jahrbuch für Mineralogie, Monatshefte (1972): 263-267. Biagioni, C. & Pasero, M. (2014): The systematics of the spinel-type minerals: an overview. American Mineralogist, 99: 1254-1264.